If your a considering a relocation to Milton Keynes be aware that Milton Keynes looks and feels like no other UK city. It’s modern and well organised with a unique grid road system that keeps people and business moving. It’s well connected with close access to the M1 motorway, airports and has a fast rail connection to London (just over thirty minutes). It’s situated between Cambridge and Oxford and Birmingham and London. If you have a family and need to work in London it might be worth considering Milton Keynes as an option. There are fast regular direct trains into London and housing is much better value too. There are a lot of modern family homes with three bed detached houses renting for around £1300pm and 4 beds for £1700pm. Executive 5 bed housing is available for around £2600pm. There are period homes in the surrounding towns such as Stony Stratford, Woburn and Woburn Sands, Olney and in the lovely local villages. One of the best ways to get out and about around the city is to walk or cycle on the purpose-built ‘redway’ system that covers nearly 180 miles/300kms. These cycle paths are physically separated from the road network, making them extremely safe for children. Willen Lake offers a host of activities such as mini-golf, wakeboarding, windsurfing and some great adventure playgrounds. 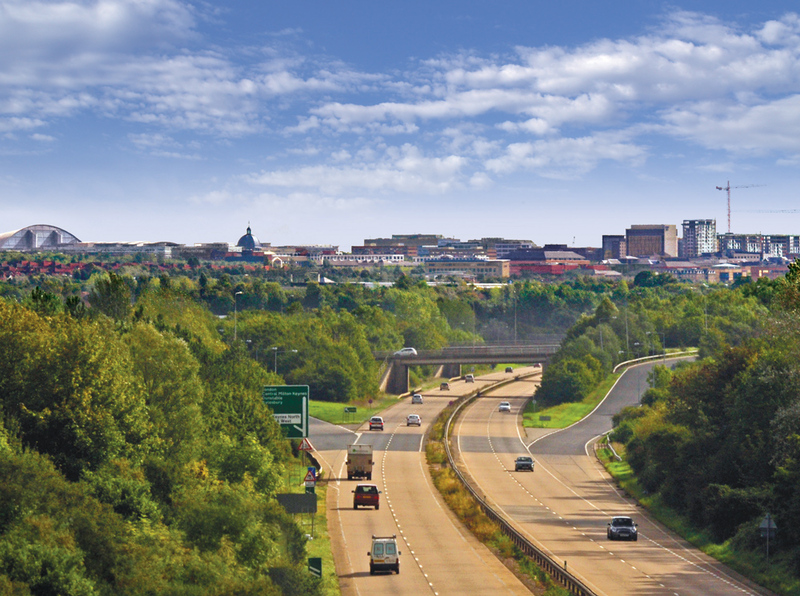 Milton Keynes boasts over 5,000 acres of parkland, rivers, lakes and woodland including over 22 million trees – it is truly ‘the city in the country’. The abundance of green spaces and trees gives the city a fresh and wide-open feel. But these spaces are more than just aesthetic – the parks and lakes house some of the unique aspects of Milton Keynes and you can spend many hours exploring all they have to offer. We send out monthly UK property market updates and Citrus offers. I've been very satisfied with the service offered by Citrus Relocation. Sue and Brian have been very helpful and present during the entire relocation process; they've understood my needs and have made all their best to satisfy them. I'm really happy of my new home and I personally recommend Citrus Relocation! We have assisted Brian and Sue from Citrus Relocation who we have found are very professional and provide an excellent tailored service to fit their client requirements. I would say it was really a pleasure experiencing Citrus relocation services. From the day of Orientation to till date I have experienced a pleasant settling in Newbury just because of Citrus. Coming from a different country and doing all by myself in UK would have been really hectic without the help of Citrus. I would definitely like to appreciate the personal attention by both Sue and Brian in all aspects of house searching and also being so meticulous in getting the house agreements and also in setting up my accounts for electricity and Gas. I now moved in to the new rented house. And experiencing the setting services like Registering with GP, dentist, Car purchase..etc.. to name a few. Basically, Citrus is there to help you in whatever we require in setting up the things in your new place. Thanks a lot Citrus and Team!! I had to move from the US to the UK very quickly for work and I can't say enough about Citrus Relocation. Starting with the professionalism of Sue Myrie, who was very thorough and always accessible despite the time difference. Citrus not only helped with all the administrative tasks, but worked on my behalf remotely and within my time frame, protecting our interests with various third parties. A shout out also to Alison Tucker who was incredibly helpful with our house search. We love the place Citrus found us. Very professional group, dependable and efficient, as well as nice and friendly- made the whole experience as easy as it could be. I highly recommend for any UK relocation needs. Sue and her team at Citrus Relocation Services were absolute stress savers. My Partner and I were given only weeks to move to the UK from Australia, and having not rented in London before, we were quite daunted by the task of finding our new home. We feel fortunate to have hired Citrus Relocation Services to help, as not only did we view several suitable apartments in the one day we allowed for, but most importantly, we were in our new home within the space of two weeks; from being driven around to see multiple suitable properties in one day, to signing the lease and unpacking our cases. Sue and Brian, who coordinated the tenancy contract negotiations, are very professional and thorough. We love our new home, it fits our brief perfectly and couldn’t be happier. We would recommend their services to our family and friends. Copyright © 2019 Citrus Relocation. All rights reserved. London and Milton Keynes.